In case you want to increase the value of your home and enjoy the benefits of a multipurpose, sun-filled room, then you should consider building the sunroom that your family and friends will take pleasure in. Sunrooms are the glass constructed rooms that can be enclosed with screens. They are functional in sunny weather for adding visible light and warmth in that area of your house. Sunrooms create extra living space for your family and also give you an opportunity to enjoy the wonders of nature from every wall of your home. If ever you are planning to build one for your home, then you should make sure that you run to a reliable company like Neal Ragan Construction. There are many things to consider before setting up a sunroom. First, you have to study where to add the sunroom. Would you like it to be a bedroom or just an addition to your bedroom? For a nice romantic getaway, you can have it as a peaceful patio addition. Sunrooms are also wonderful pool enclosures. No matter what type you are planning to have, the most important thing is you will be able to maximize its main function. An example is the four season sunrooms that will function as a provider of ventilation and insulation. 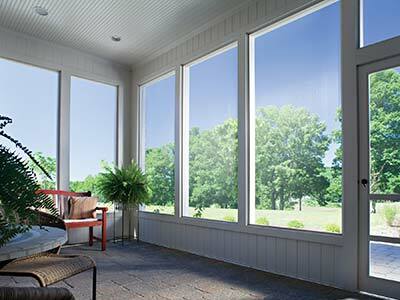 The all-seasons sunroom is a great option as compared to screened porches or seasonal rooms. Regardless of its purpose or function, sunrooms should be built by reliable contractors. Neal Ragan Construction can help you from the designing to the installation and even with regular maintenance of your sunrooms. Every extra square foot that you allot for the sunroom will make a huge difference. This room addition can be used in a lot of ways aside from being a bedroom or just part of a bedroom. It can also be turned into a game room or for the green thumbs, it will be a great green house. If you have kids or teens who want to have a quiet place to study, the sunroom will bring a wonderful study area. Also, you can consider it as a place where you can install a hot tub. For whatever plan you have for this extra space, it can turn out to be a rendezvous for your family and friends. Creating a sunroom will not destroy the appeal of your home but instead add more architectural beauty. In case you would like to resell it someday, the sunroom will surely be a great contributor to the value of your home. Most of the time, sunrooms cost about 30,000 dollars. And nearly 60% of that gets added to the resell value of your home. Indeed, building a sunroom is not bad investment at all. Nonetheless, the value of your home will still depend on the quality of design and construction of the sunroom so it is best to take your time selecting the perfect sunroom and the best contractor. As a building and landscaping contractor in Tennessee, we are committed to provide only the best services to our clients in the state. We see to it that every sunroom project that we handle is designed and created with careful planning and construction. We only use the best construction materials so that every sunroom is not only functional but also durable. You can always request for a no-obligation quote for sunrooms at our office or via email.